WE ARE NOW SOLE DISTRIBUTORS FOR EUROPE"S NO 1 CHOICE - *GALA TENT - SEE WHY GALA TENT IS IN A LEAUGE OF THEIR OWN AT OUR SHOWROOM TODAY! - TELEPHONE 01 8362100 - 085 1000 000. 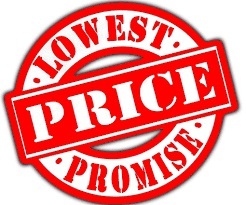 *IRELAND NO 1 CHOICE FOR BARGAIN PREMIUM MARQUEES AND TARPAULINS!!! ..... WE ARE LOCATED JUST 100 MTS OFF THE M50 AT EXIT 5 [FINGLAS EXIT] -ESTATE BEHIND DENIS MAHONY TOYOTA. AT UNIT 22 NORTH CITY BUSINESS PARK,DUBLIN 11.TELEPHONE 018362100. 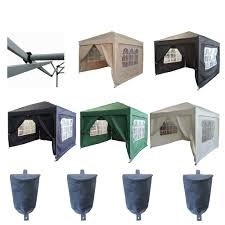 FREE NEXT DAY 32 COUNTY DELIVERY FOR ALL GARDEN MARQUEES AND TARPAULIN COVERS!!! BUY * GALA TENT - BUY ONCE! BEST SELECTION ..WE BUY BY THE CONTAINER LOAD SO YOU SAVE SAVE SAVE! WHY RENT WHEN YOU CAN BUY FOR LESS ? HEAVY DUTY GALVANIZED MARQUEES FROM 395 EURO . ***PLEASE TELEPHONE ON 01 8362100 OR 085 1000 000 FOR WEEKLY CLEARANCE SPECIALS !!! Welcome to our website ! 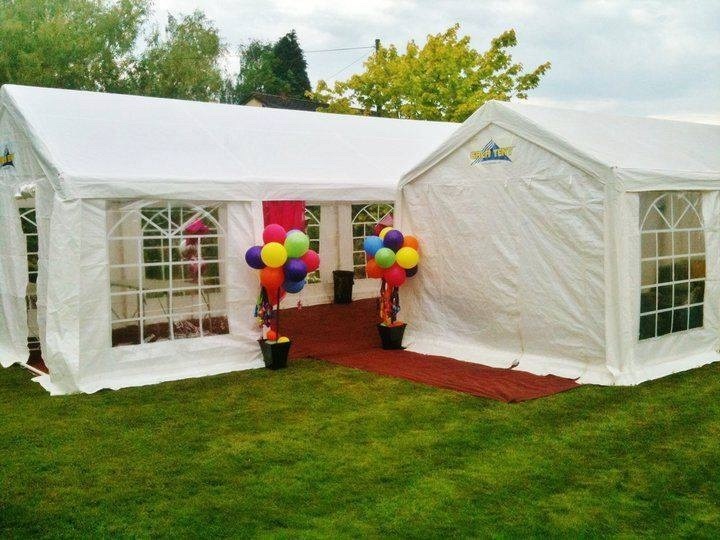 - the home of the best priced budget garden and premium grade marquees available on the market ! Discover why we are Ireland's number 1 choice when it comes to marquee sales! At last Irish customers have a real choice when it comes to purchasing a new marquee!! No matter how small your budget! -- - We've got you covered! Marquee World Direct now brings you the best selection ever seen on the Irish market. 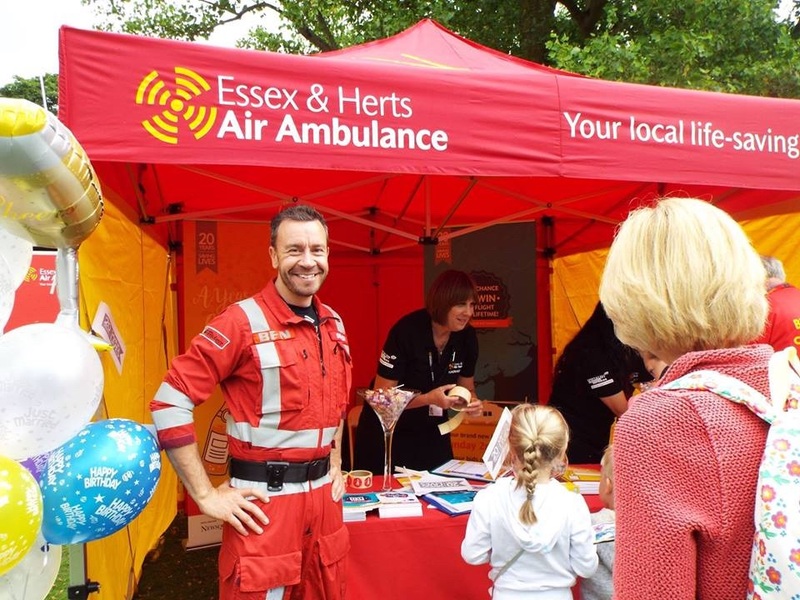 We are part of the UK's biggest importer of marquees and gazebos we promise we will save you a fortune on your new purchase. 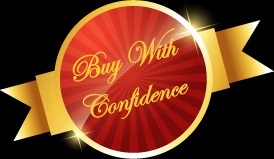 We make shopping as easy as possible and very importantly we are not tied to any one manufacturer so we will give you all the facts and won"t try to direct you to a purchase which is not suitable for your particular needs. 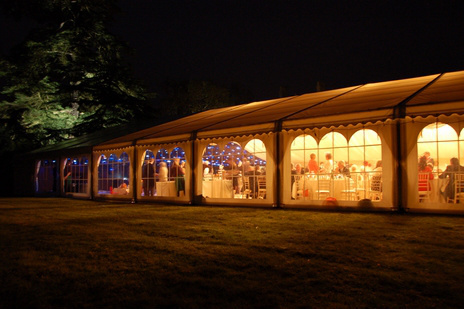 We have 20 years in the marquee business with hundreds of delighted customers and offer a full guarantee with full back up. Gazebos range from €69 to €20,000 so we have a model to suit your pocket!- for honest advice - give us a call before you buy! *** Take time to browse through our online shop and if you need to talk before you purchase we would be delighted to offer any further advise you may require. - We offer next day 32 county delivery on most structures or feel free to call into our premises and collect if more suitable.
" Our Reputation is Your Guarantee ! " Open Monday to Saturday 9.30 AM TO 5.30 PM. Telephone 01 8362100 OR 085 1000 000. GALA TENT - WHEN ONLY THE BEST WILL DO! WHY WASTE MONEY ON RENTAL ? 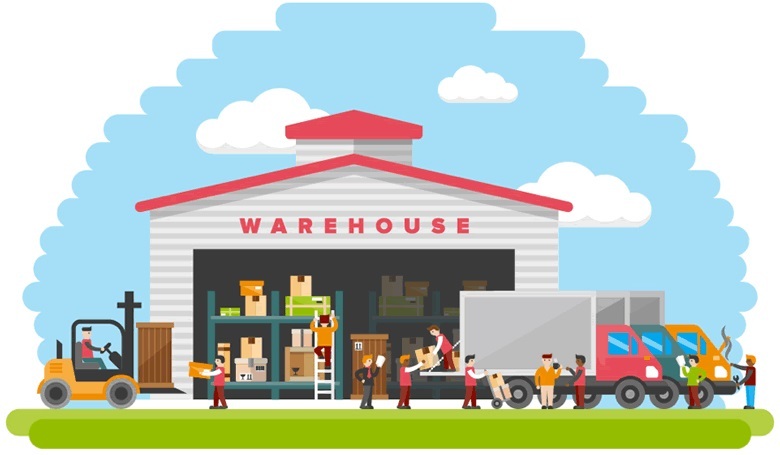 SAVE TIME AND MONEY AT OUR ONE STOP SHOP! 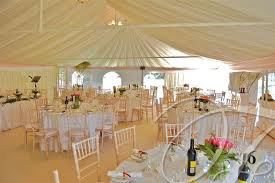 LARGE SELECTION OF FOLDING TABLES AND CHAIRS, HEATERS AND GARDEN /MARQUEE LIGHTING. BRING YOUR CELEBRATION DREAMS ALIVE NOW - WITH MARQUEE WORLD DIRECT. 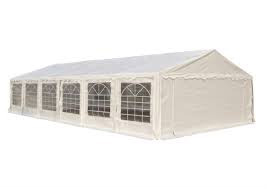 * TO VIEW FULL SELECTION CLICK ONTO " ONLINE STORE " AT THE TOP OF THIS PAGE - GUARANTEED BEST MARQUEE PURCHASE PRICES IN IRELAND !